Being out in one of the fists fights with your game geek friends about the next finest Elder Maxson Coat. I am quite sure that’ll be a baffle battle out of the blues. When it comes to the comparison of this elite jacket resonance to the graphic-gimmick realistic one. The supreme leader of the East Coast Brotherhood of Steel has been on its pinnacle progress. 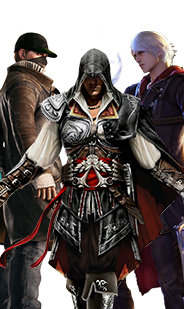 When it comes to Elder’s powerful prestige wear. Also, the inculcated fur collar contemplates the wolf winter chills right out of you, making it an entire winter feasible wear as well. Totally a multipurpose merchandise for your overall cold-season exterior wardrobe. 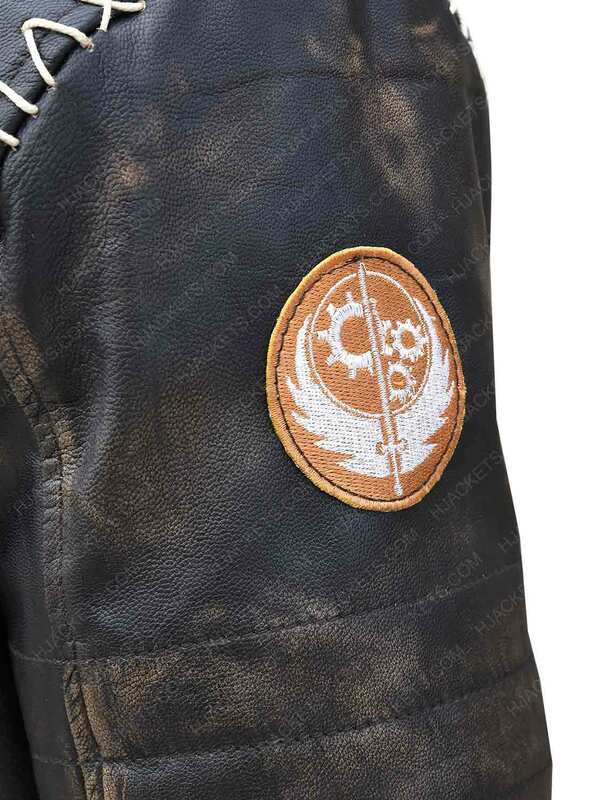 The Elder Maxson Battlecoat is made integrally with real and deep-seated with a fine quilted lining design to put the drastic persona of Maxson right up front. An attachable leather belt is also added over the jean-cultured boutonniere closure. 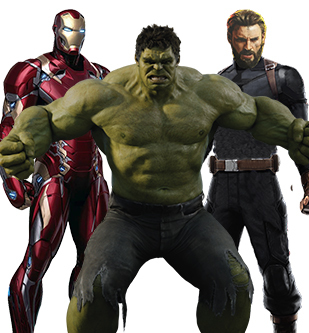 The game-exact belted outlook has been devised for the Battlecoat attire along with studs to put the CGI spectacle. The right out amidst real-life remarkably. The padded designing on the sleeves are improvised with stitching pattern with dark needle crafting. 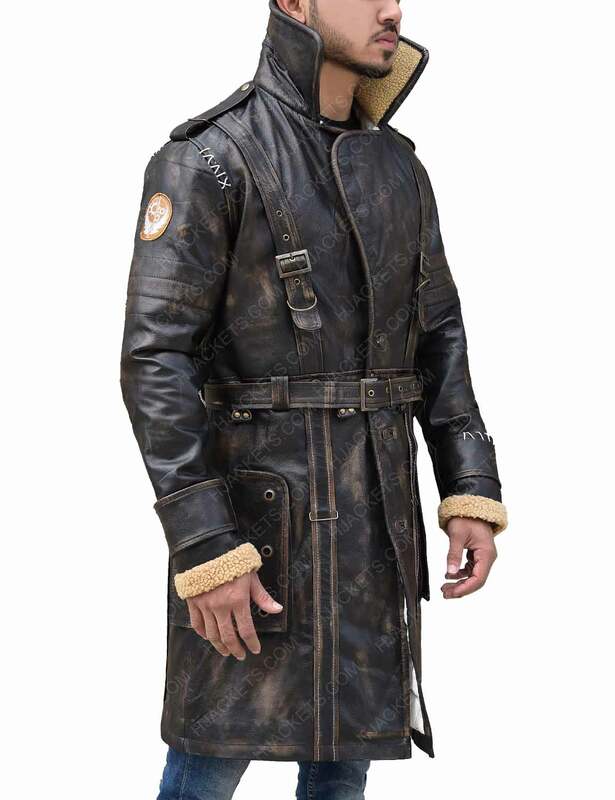 The belted buckle is dropping down from shoulder flowing through the front quilted furry pattern as well with this classic interpretation from the video game. Bold Studs are also placed on the frontage portion, the off-white quilted flaps. The frontage of the elegant coat that Elder Maxson has worn from the video game Fallout 4, conspires of belted structures with buckles are multiple and appealing pattern with designing to the fullest. Noticeable buttoned closure are also utilized apart from waistline adjustable belt. Its long sleeves conforms fur lining on the inside while the slight stitching pattern is also covered on patched cuffs. 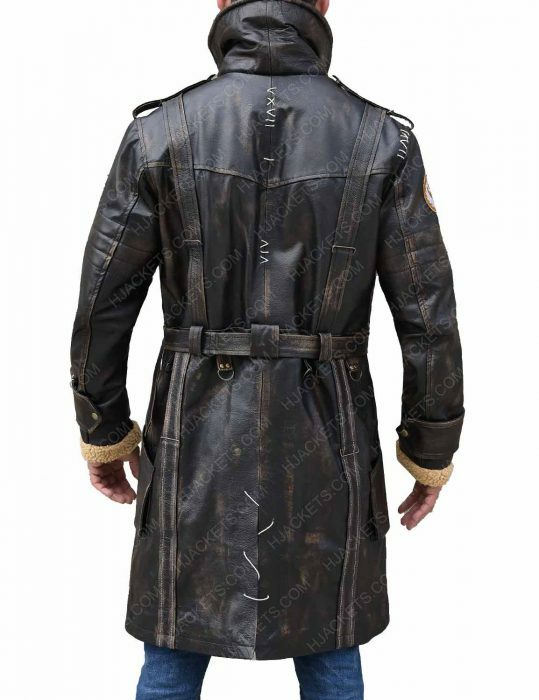 The back of this fantastic coat follows the same belted pattern and you can see the hooks available for the waist adjustable belt for closing techniques. Twin flaps are below waistline, stitched perfectly. Small studs are present on its patched cuffs at both ends of the full sleeves. Vent cutting is down below from center attraction as the mastered blow for the rest of the entire appearance of this Fallout coat. Cross intersection in the stitching is the creative appeal of this coat where it is visible on entire attire while the most attractive points are the shoulder from the back view. The quality of this cowhide leather is perfectly seen of this outerwear that defines the all true hopes-high agenda for the persona you would be longing for from quite some time since the release of this video game for inspiration like no other. The badge is blow the right shoulder and on the right sleeve of this class-apart coat that runs the leadership steer in his persona. 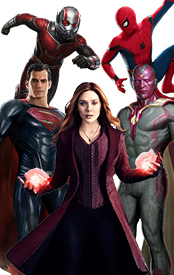 His efforts are all lined-up with bigger and better estimated future to attain by his peers and predecessor. An stink that wouldn't go away. An stink that wouldn't go away. It was the leather that smelt so strong that it took more than a month to lessen. I couldn't wear it when I wanted it to. So it became a showpiece. 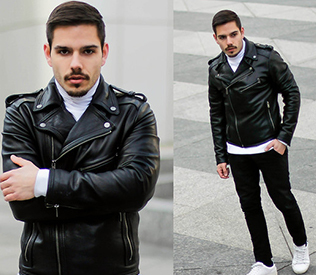 Fascinating Apparel My best friend loves to wear leather jackets and his wardrobe is also filled with leather jackets. 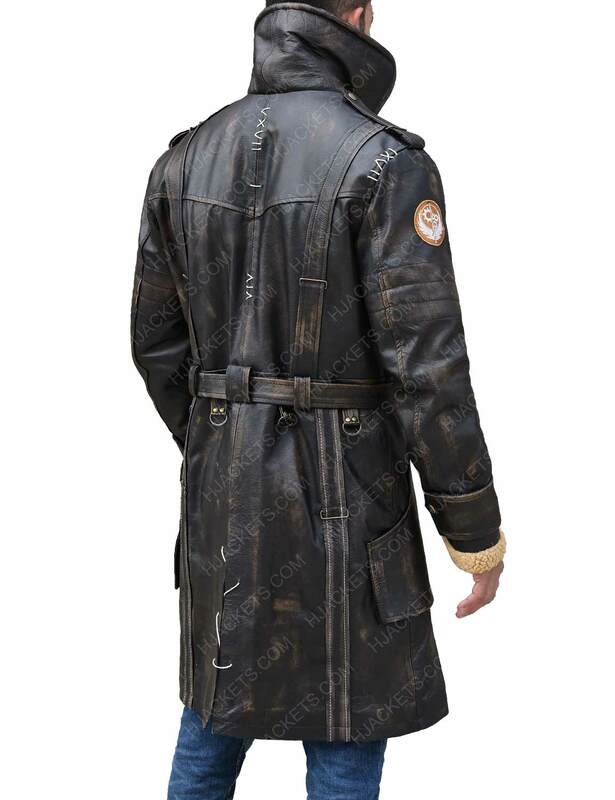 That’s why I decided to present him Elder Maxson Fur Collar Long Leather coat which is one of the appealing pieces and I was sure that it would be loved by my friend. With the help of customer service, I choose the accurate size of my friend and ordered it to present him on any special day. I received my parcel within 1 week and it was the attire that my friend was looking for. 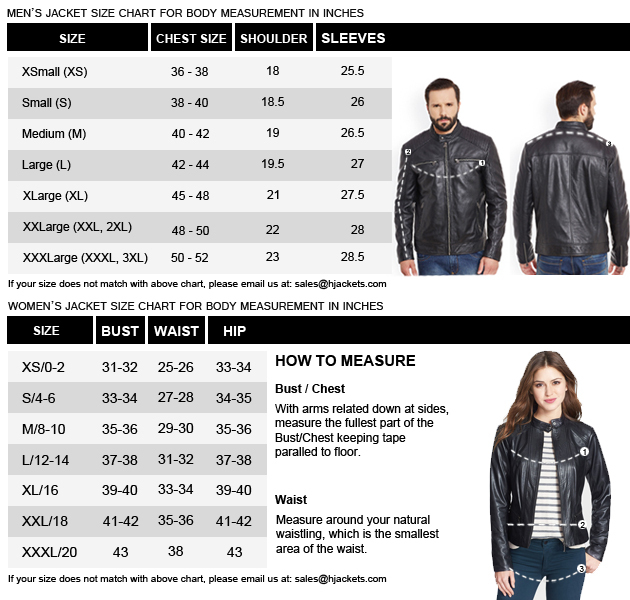 I was really impressed with the quality of the material and the features that are available in this jacket. I must say that it is a highly recommended product. 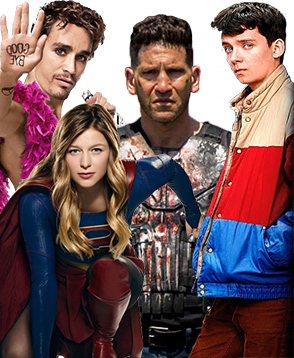 Thank you moviesjacket.com for a classy product which I can present to my friend. Perfectly manufactured outwear with classy fabrication What made me really curious to get this attire is its artistic Fur Collar creatively confined on the top, which makes the garb look highly exquisite same as it appeared in the game. Because i was searching for this outwear from a long time, and finally found it here with exact precision and craft to which i was looking for. So just want to say thanks to hjackets for this astounding craft. I have to admit ... this is among top leather coats more or less simply love to wear it. 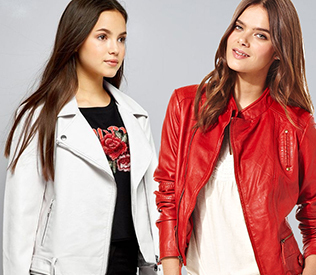 I have to admit ... this is among top leather coats more or less simply love to wear it. 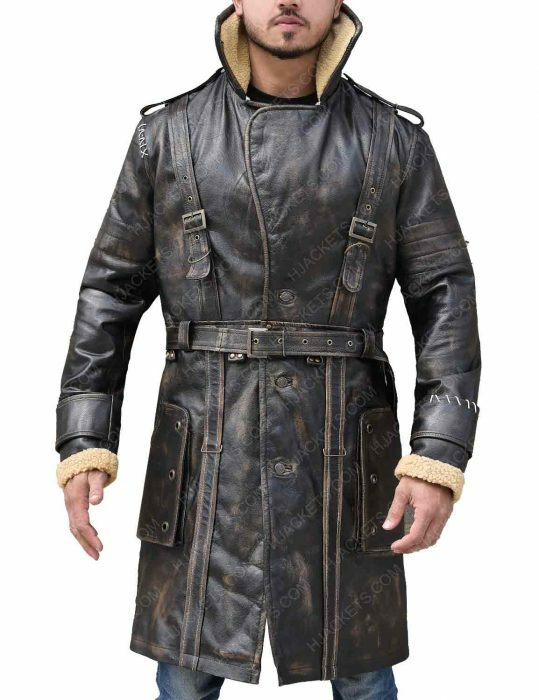 I felt compelled to share this "is this a real leather coat? 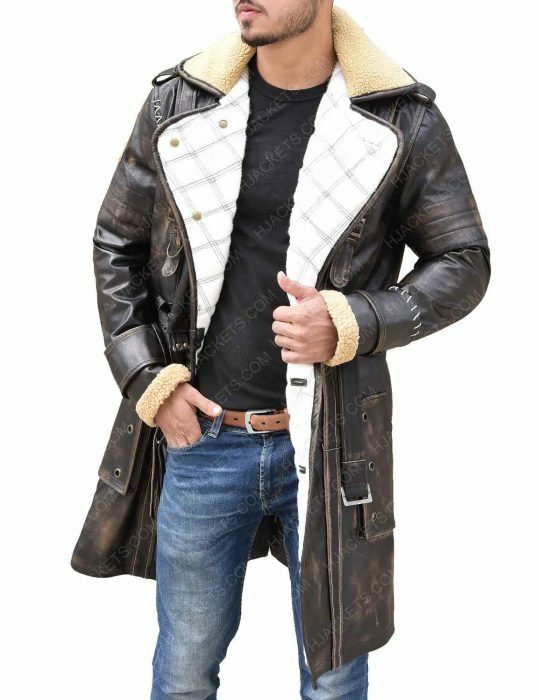 having quilted lined design on furry inner intrigue", I have to admit ... this is among top leather coats more or less simply love to wear it. When one is satisfied with the product and pretty much in love with itthat is soulfully made of real leather exactly what everyone needs, a bit rough and perfectly supple, want to know the real matter lit it up with a lighter, when it seems moist (but seriously you don't have to try or have fun in such a way.. caution for all :p) typically for cold weather its good during winter seasons with the quality, technically I purchased three of these coats, because i had to gift the similar product to my extended family... The entire coat is sewed with all natural skin of healthy animal hides.. one of the best features to be is that its a long stylish interpretation. 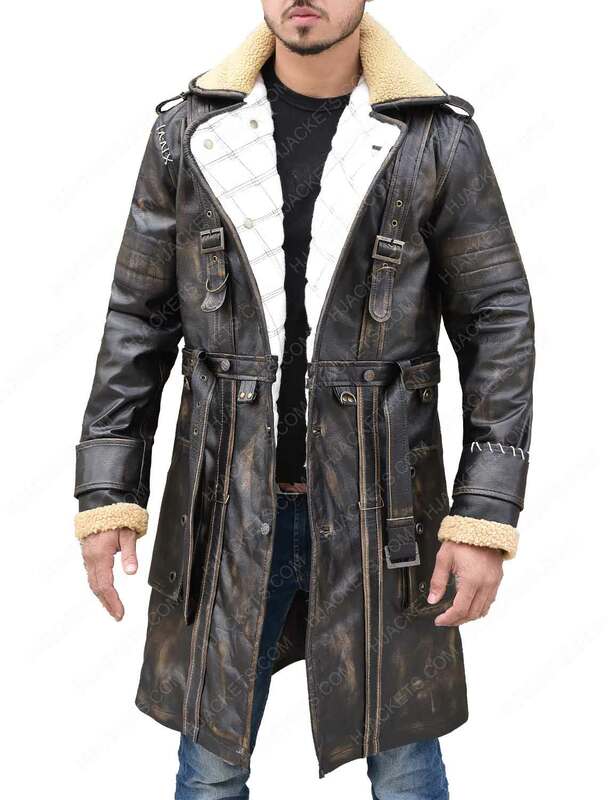 I practically gathered is that the coats have quality differences of course with the buttons it varies second to none but smells like all waxed up good.. here is the heads up for all customers out there... you dont get a chance anywhere else in the States to have this quality leather real coat.. If you do I bet the quality will speak for itself. cheers! adios amigos. It is fantastic, worn it to attend a party in town It is fantastic, I could not believe at first that this fur collar on the long leather battle coat would give utmost top rated appeal to me among my peers. I had wear it to attend a party in town, believe me it was great to have been blessed with such appearance in public and a very remarkable experience. I would have to say now, howdy partner I am coming home with your favorite coat. Elder Maxson outerwear is awesome Interesting to see the detailed and zoomed specification. 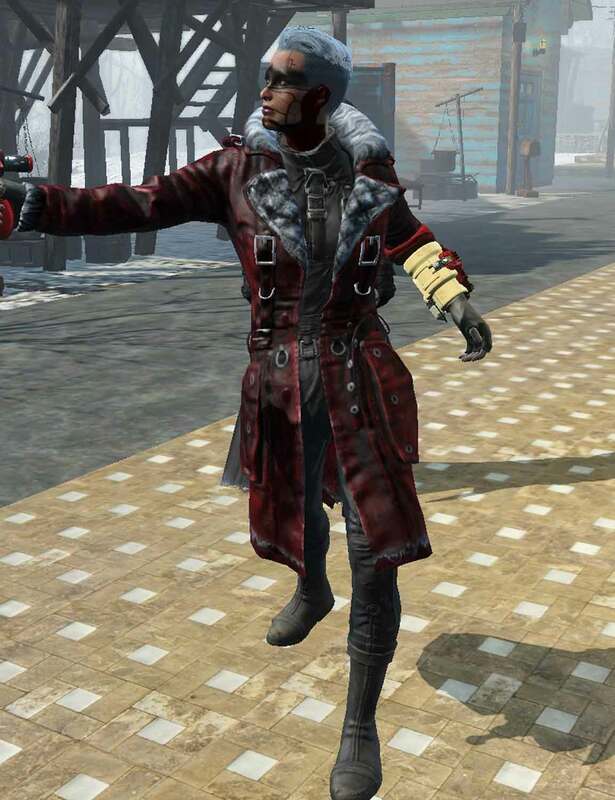 I have been a fan of Elder Maxson for quite sometime now and the coat he wears in the Battle edition of Fallout is awesome. I am wearing the size XL in fact it is fitting me perfectly, I got my package 2 days back for which I am greateful and glad. Dear Customer, Thank you for showing interest in our product.